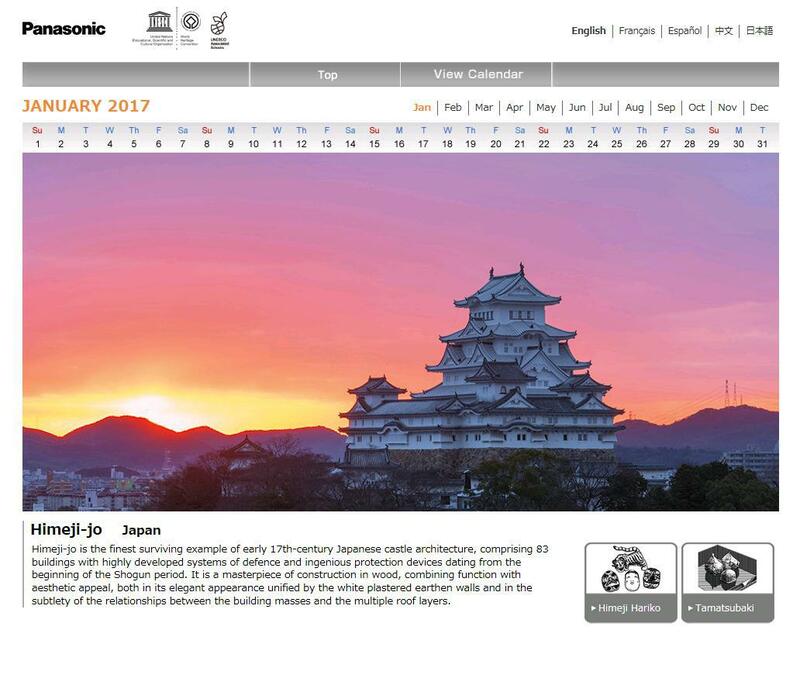 Tokyo, Japan - The UNESCO World Heritage Centre and Panasonic Corporation announced today the release of the 2017 World Heritage calendar application for PCs and tablets. 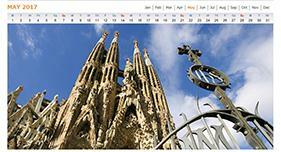 The calendar application is available in five languages (Japanese, English, French, Chinese, and Spanish). 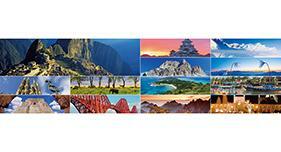 After installing the application on a PC or tablet, the user can enjoy stunning photographs of World Heritage sites around the world. 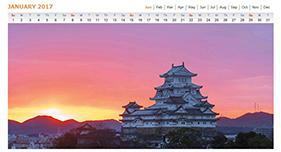 The 2017 calendar features, for January, the Himeji-jo in Hyogo Prefecture, Japan, which is the finest surviving Japanese castle architecture; and for May, the works of Antoni Gaudi, Spain. 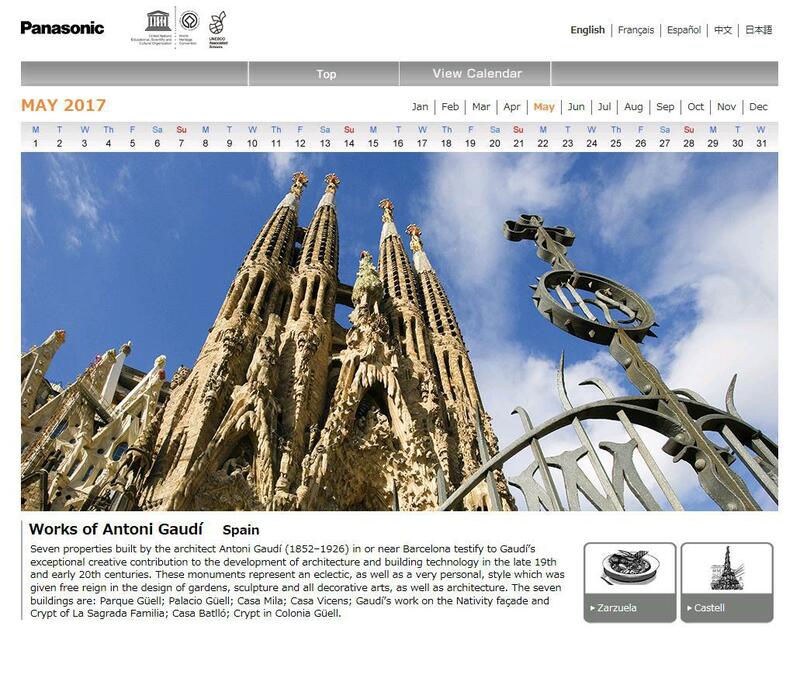 The 2017 UNESCO World Heritage calendar can be downloaded from the following websites. 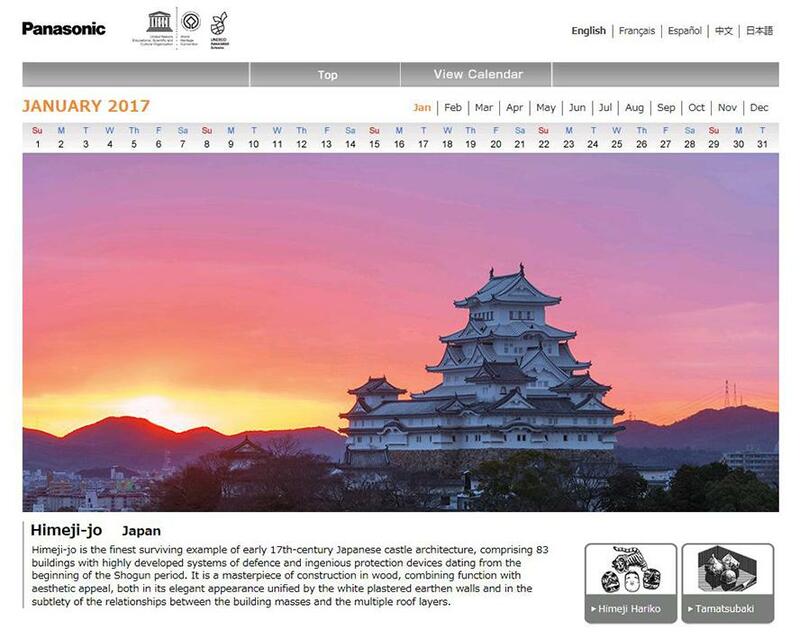 UNESCO and Panasonic have created wall calendars and youth calendars in Japan since 1995, and calendar applications for PC and iPad/Android since 2010, with the aim of promoting environmental education through the protection of World Heritage sites. The content was developed and provided with the special aim of promoting youth education centering on UNESCO Associated Schools (9,000 schools in 180 countries worldwide). We will further broaden our calendar content in the future.